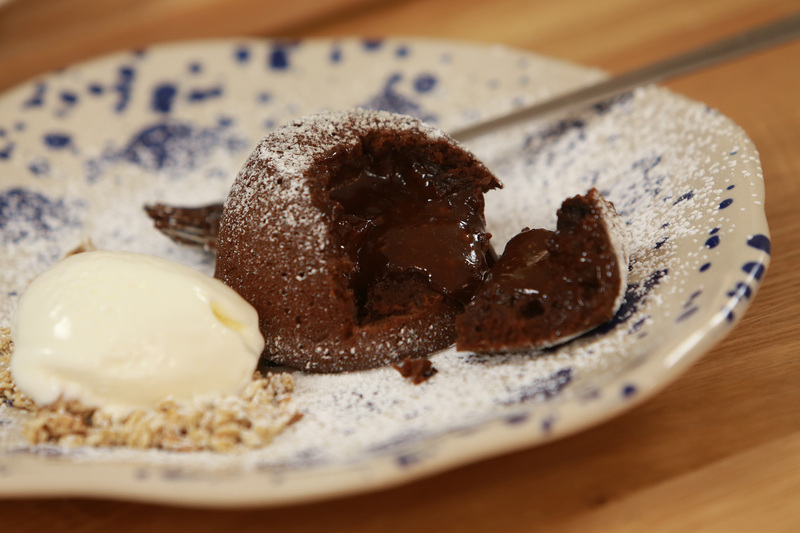 An easy, deliciously chocolatey way to save that leftover Christmas pudding from the bin by Scotland's National Chef, Gary Maclean. Melt butter slowly over a low heat in a pan. Once melted remove from the heat and add the chocolate. Whisk eggs and sugar together until well combined, then add the flour. Stir both mixtures together and crumble in the Christmas pudding. Pour into buttered moulds, preferably small pudding basins. Bake at 190ºC for 10-12 minutes, making sure centre is still runny.